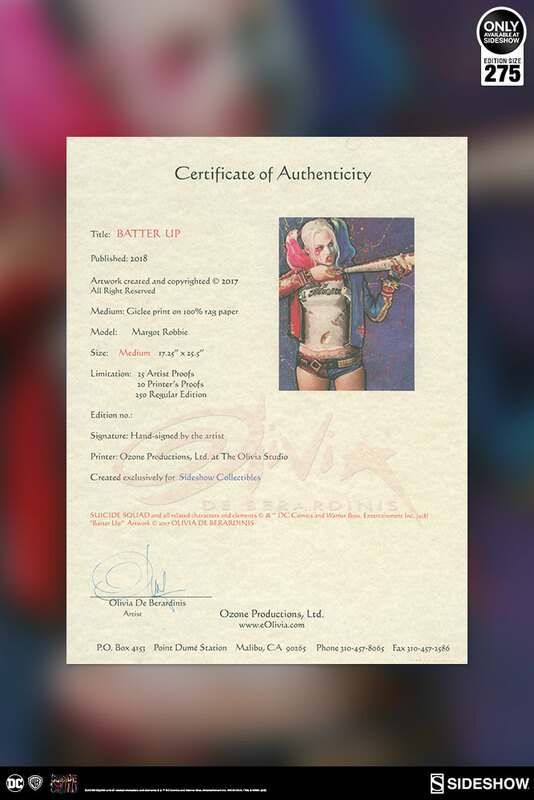 Sideshow is proud to present the officially licensed Harley Quinn: Batter Up! 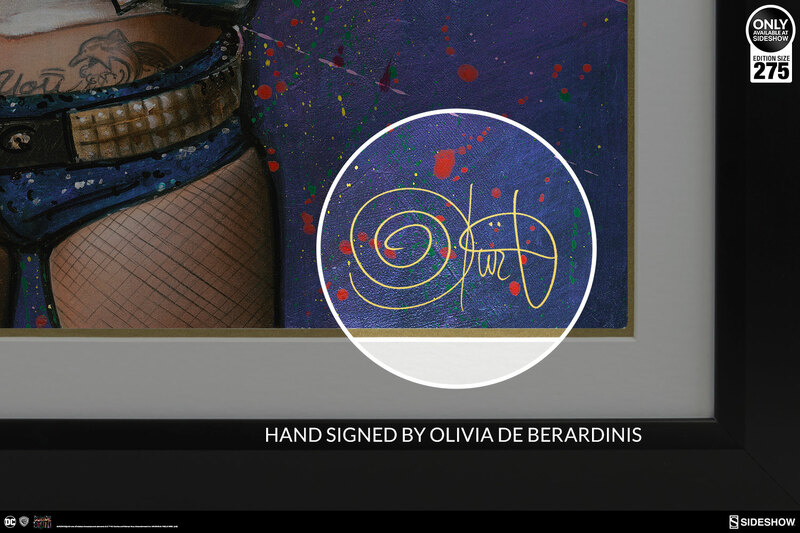 Fine Art Print by acclaimed artist Olivia de Berardinis. Based on the likeness of Margot Robbie as she appeared in Suicide Squad, Harley Quinn: Batter Up! 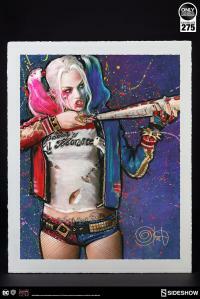 captures the playful wickedness of Gotham’s own maid of mischief. 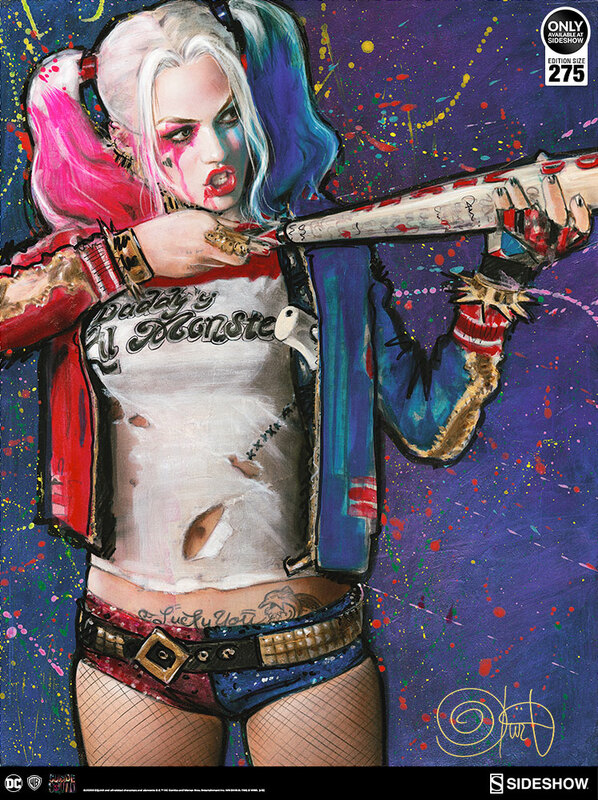 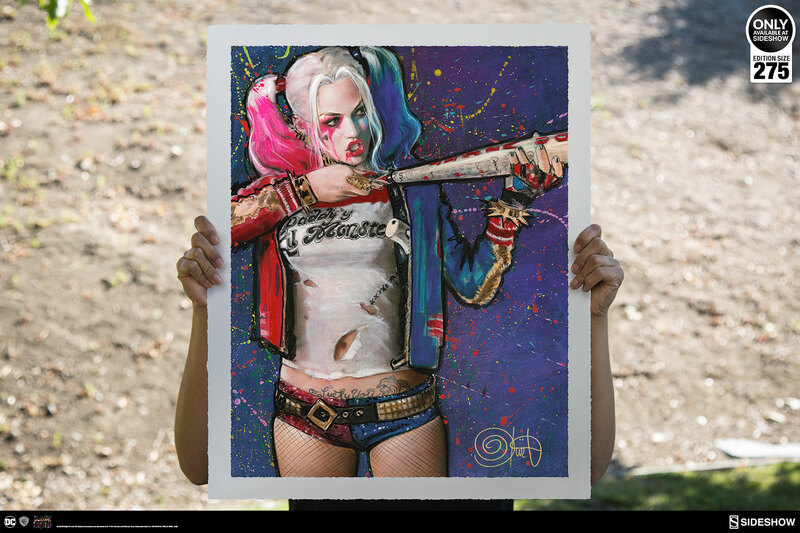 Harley stands with her Good Night bat aimed like a gun, ready to swing and cause a scene while bursts of color highlight the electrifying energy of this candy-colored criminal. Olivia’s original acrylic-on-wood painting is faithfully reproduced here, capturing the stunning and vibrant realism of her signature artistic style. 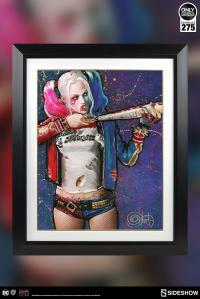 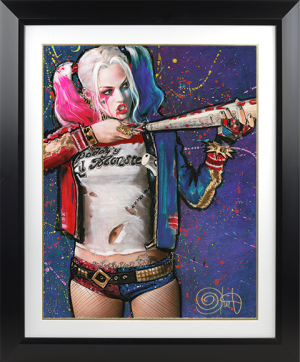 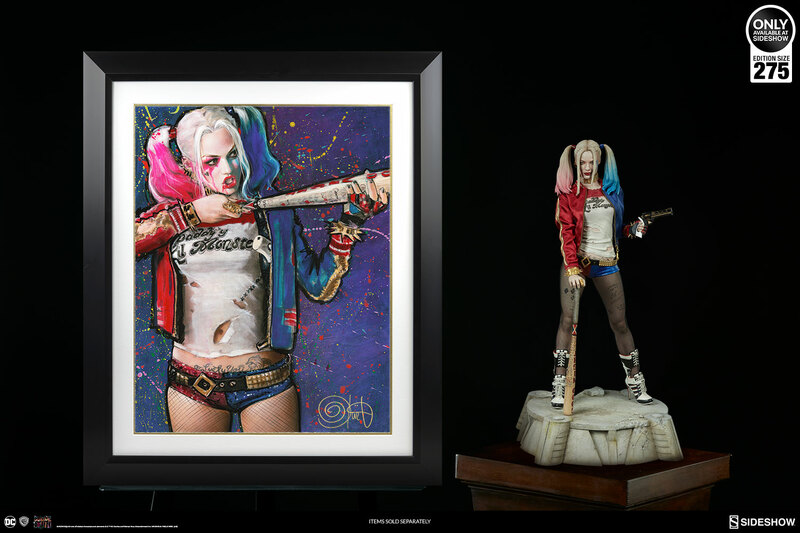 Each Harley Quinn: Batter Up Fine Art Print is hand-signed and numbered as a part of the limited edition of 275 pieces. 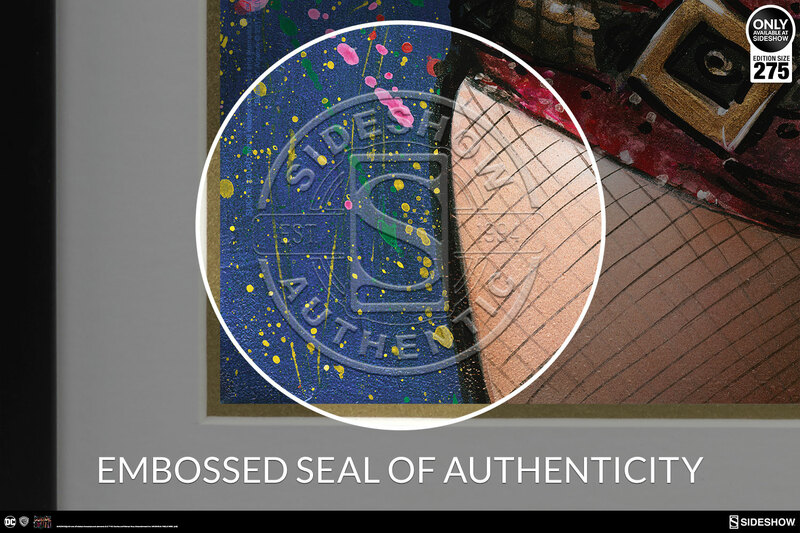 Each print also includes a signed Certificate of Authenticity. Step up to the plate! 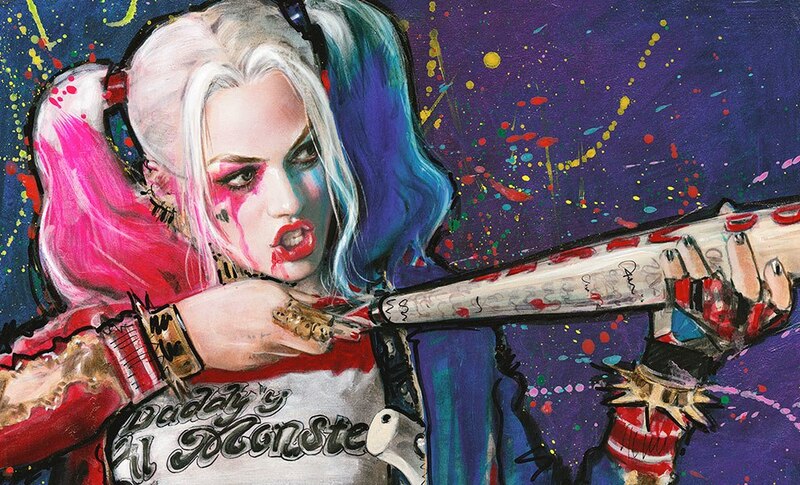 Add the Harley Quinn: Batter Up! 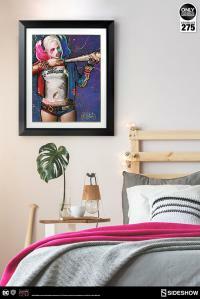 Fine Art Print to your collection today.